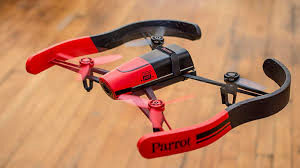 Parrot with its AR Drone in 2010 set the industry standard for iOS-controlled drones. 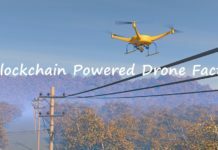 Since then the company has been striving to manufacture the best possible drones in different segments. Be it the entertaining mini-drones or the high-quality Bebop quadcopters. The drones manufactured by Parrot are known for their cool design and their simplicity of usage. 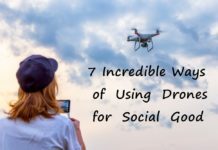 Drones are entertaining tech products which are everything except for toys. 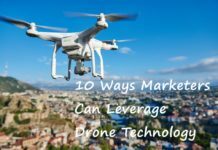 If you are still a beginner you should opt for the drones that don’t require much of flying experience and are easier to use. 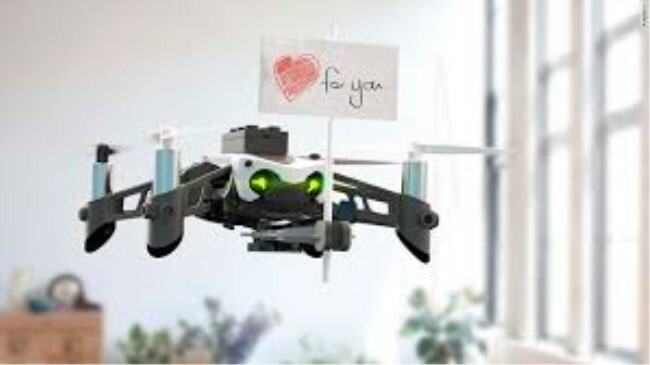 The mini-drones from Parrot are the new generation robots that have improved the innovation. They might appear as toys but can do some serious work. 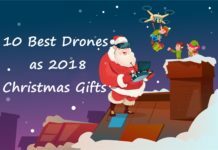 If you are wondering which Parrot drone you should buy, then this guide will get you all the details of the Parrot drones starting from the small ones that are quite cheap and also the best ones that require an expert level of flying experience to handle. You can pick whatever suits you according to your skill level and also your budget. 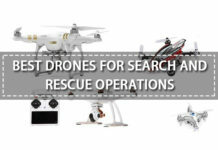 Parrot was one of the initial companies that dipped into the waters of aerial drones with the release of AR 2.0 in 2010. 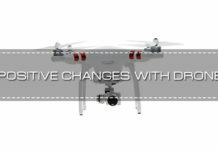 Since then, Parrot has come a long way forward and launched a smaller yet powerful camera focused-drone. 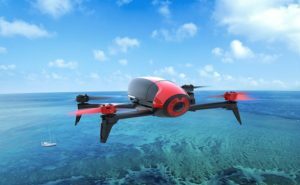 At less than $500, Bebop has incredible features that are mostly available on drones that are available for twice the cost. It includes live video streaming as well as GPS. It has 8 GB of internal flash memory. Flight Time of 11 minutes. If two batteries are used, then you get a total time of 22 minutes. 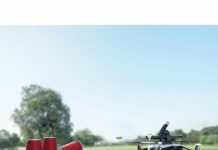 The Parrot Bebop is available for $400 on Parrot’s official website. However, it is available for a discounted price on Amazon. You can save almost $100 if you purchase this drone from Amazon. You should never judge a book by its cover or a drone by its looks. 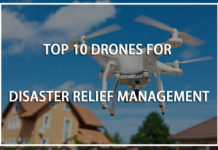 Once you fly the drone, you’ll understand that this drone is among the best ones available in the market at this price range. 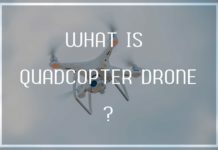 Though you may say that it lacks a bit of precision and the range could have been better, it is still better than other drones present in the market. 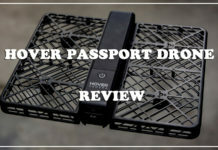 Its durability, simplicity, and reliable flying experience makes it worth a buy. You can master the control within a few minutes. If you do mess up, the Bebop can take a tumble easily. Its compact size makes it easy to carry in a backpack. 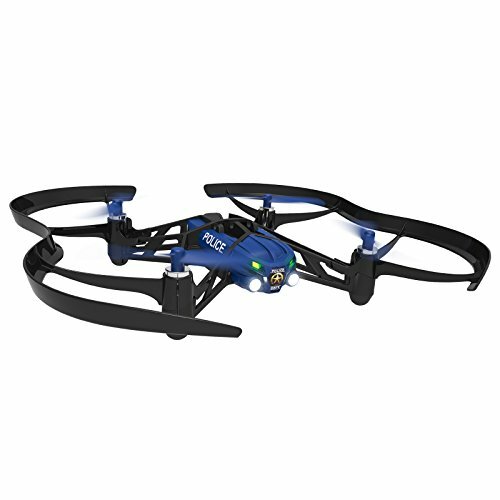 If you are looking for an affordable and simple drone, then Bebop is a good buy. The Parrot Bebop 2 comes with 14 MP camera that provides full HD video recording. The smartphone-controlled drone is the successor to the Parrot Bebop. For judder-free footage, this drone comes with a fish-eye lens. The best part of this drone is the optional FPV pack. It includes professional flight controller as well as headsets. The controller includes sticks and buttons. You have full control over the drone and get to see where exactly it is heading. The only drawback is that you’ll have to shell out a few more bucks than what you would have liked. The Bebop 2 provides over 20 minutes of flying experience on a single charge. 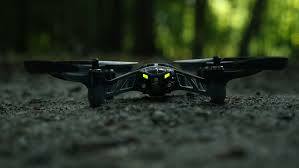 It is a perfect drone if you are a beginner. The low cost, lightweight, and superior camera quality will lure you towards itself. 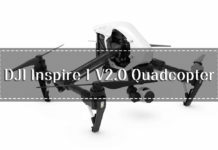 The Bebop 2 has improved battery as compared to its predecessor. The Bebop 2 was originally launched at a price of $550. But it is available at a discounted price on Amazon. You can get it for less than $350 on the website. Image quality could have been better. Video becomes glitchy at long distance. For an entry-level drone, the Parrot Bebop 2 is quite good. 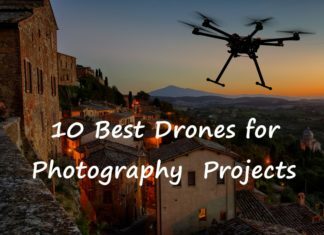 If you are just dipping your feet into the waters of aerial photography, you can go ahead and purchase this drone. You don’t have to buy an extra controller as you can use your smartphone to do that. If you can afford the FPV bundle, then you should definitely buy it to make your flying experience complete. The fisheye lens is a great concept applied to a drone. It produces some amazing pictures that will leave you surprised. 20 minutes of flight time is good in this price range. If you can ignore the minor glitches of the video, and bear the additional cost of the FPV pack, you can buy this drone. 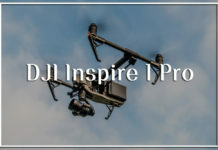 If you are looking for the most inexpensive drone on the market then look no further. 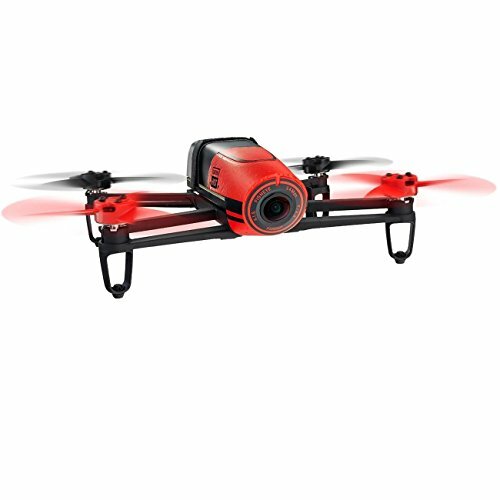 The Parrot Mambo is incredibly cheap for someone buying the drone for the very first time. It is fun to fly around for a while but doesn’t really do anything apart from that. The interchangeable grabber and mini-cannon accessories make it little more than an average mini-drone. 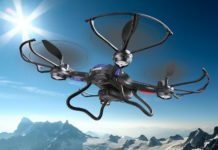 These accessories ensure that you have a great amount of fun flying this device. This lightweight, compact drone that is ready-to-fly when you unpack it. At its given price, you can’t really expect much features to be present in this drone. 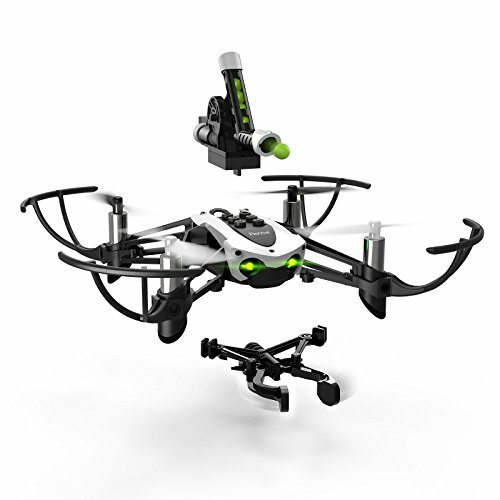 The 3-axis gyroscope and the accelerometer provide for a stable flying experience. The 0.3 MP VGA camera provides a decent view but don’t expect to capture good quality images from it. 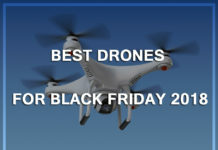 It is better than other mini-drones at hovering in a place. The grabber can lift up to 4 grams of weight so that you can play games like drop the paper in a cup. 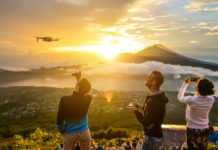 The Parrot Mambo is available at less than $80 on the market which is incredibly cheap if you want to buy a drone for the first time to get some flying experience. 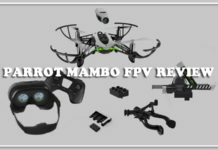 If you are searching for a starter drone that does a bit more than just fly around, you can go for the Parrot Mambo. You can do whatever you want with the cannon and the grabber accessories that are present with it. You can give it as a Christmas present this year. At its price range, it is quite affordable but you can always find cheaper options from its competitors. Parrot is taking a completely different approach to manufacturing drones. 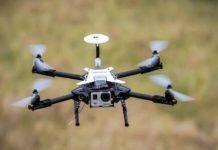 Leaving its competitors aside, Parrot is focusing on making its drones lightweight as compared to its competitors who are focusing on making the design compact. 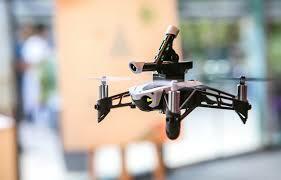 The Parrot Disco is quite different from the Bebop quadcopter manufactured by the same company. The drone works with all Android devices. It is capable of creating enjoyable flight experience. Once you get your hands on it, the controls are quite easy to learn and gain experience. The drone doesn’t make much noise compared to its competitors. 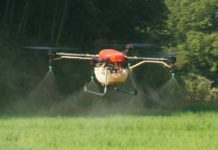 The drone weighs only 750 grams due to the carbon tubing used in its construction. The 14MP camera comes with wide angle lens which uses a 3-axis gimbal for better stabilization. It has an internal storage of 32 GB but there isn’t any slot for microSD. The Parrot Disco was originally priced at $1299 when it was launched. You can find it at less than $650 on third-party retail sites such as Amazon. The Parrot Disco is a well-built drone that flies really well. There are a few things that you must be wary of. 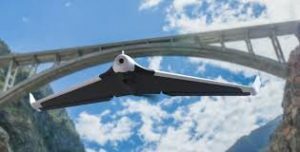 As the Parrot Disco is a fixed-wing drone that doesn’t have a landing gear, it doesn’t land on surfaces that a quadcopter can. The footage looks quite cinematic owing to its constant forward motion. Wide open grasslands and parks are the best places to fly this drone. Quadcopters can traverse deeper areas by hovering but with the Disco, you’ll have to restrict yourself to flying in certain areas. Though there aren’t many fixed-wing drones available in the market which makes Disco stand out. The Parrot Airborne Night is the latest mini-drone launched by the company. The simple design will make the kids fall in love with it. They can be flown outdoors provided there isn’t much wind. The bumpers included to protect the rotors ensure that they won’t trash the house. 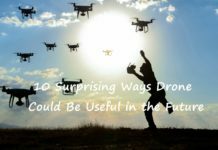 The lightweight drone is incredibly agile and can fly up to 9 minutes before the battery runs out of juice. The design is quite sturdy. The built-in VGA camera will surprise you as it gives decent images for its quality. You can control the drone via your smartphone. 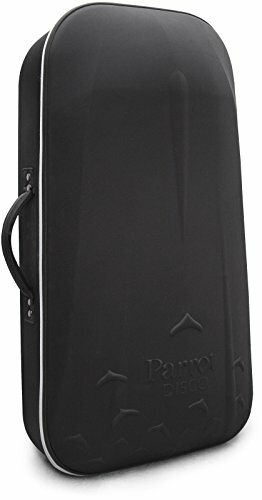 The Parrot Airborne Night was originally priced at $129. You can find it at less than $80 on third-party retail sites. The Airborne Night is fun to fly around. You can easily control it with your phone or tablet. The VGA camera is a bit weak and the battery life isn’t that impressive. The batteries take a long time to charge so you should purchase a couple of them for an uninterrupted flying experience. The mini-drone is a bit expensive as compared to others with the same features. You need not register this mini-drone with the FAA. 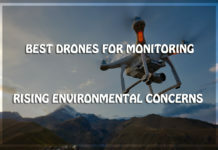 You can go through the features, pros and cons of each drone and decide which one is more suitable according to your need.